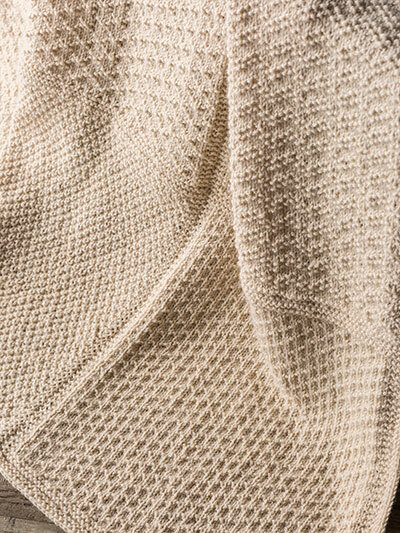 Knit a beautiful afghan using 5 different stitch patterns! 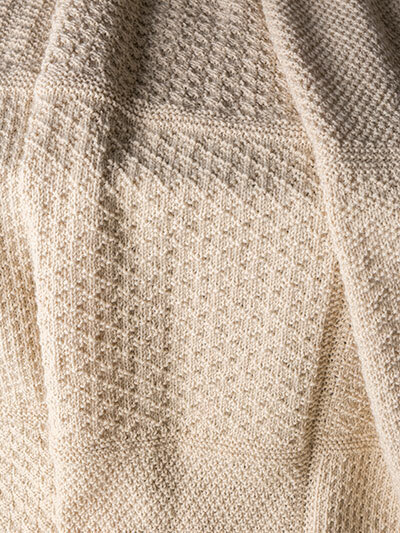 This gansey knit afghan is made using 10 balls of Plymouth Encore worsted-weight yarn and a size 9 (5.5mm) 40-inch circular needle. 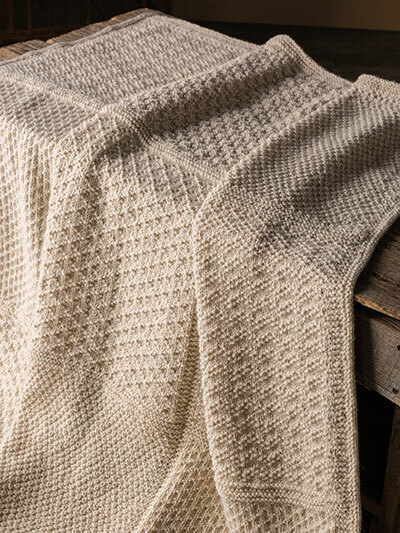 Pattern includes written instructions and charts for each stitch pattern. 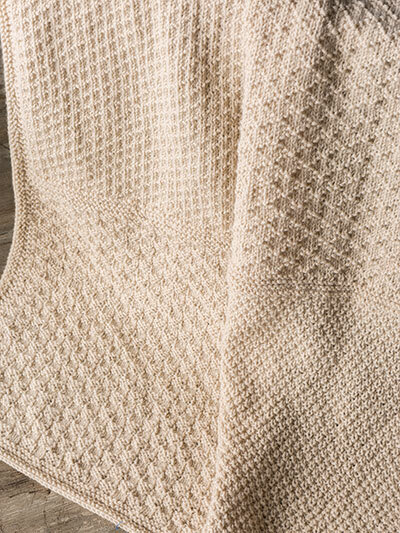 Model afghan is made using 9 squares sewn together and finished with a border. 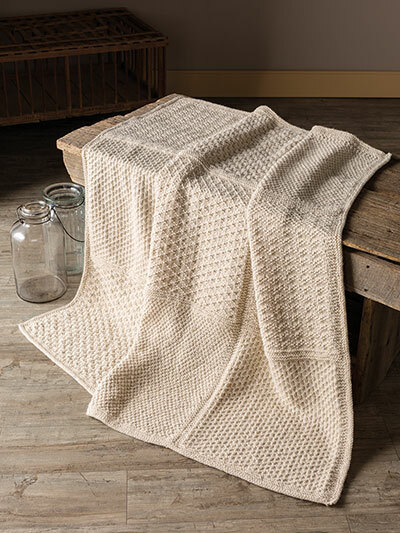 Finished size: 49" square, including border.